Right now, 600,000 Albertans are living with lung disease — many more remain undiagnosed. That’s a reality we want to change. One in five Canadians have lung disease. COPD is the number one cause of hospitalization in Canada, asthma affects at least 13% of our children and lung cancer kills more people than breast, ovarian, colon and prostate combined. Our cause is urgent, and our reason for being can really be summed up in one word: Breathe. It’s what unites us. It’s what inspires us. And it’s what keeps us pushing ahead— whether it’s searching for cures to lung diseases, teaching kids about the dangers of tobacco, or fighting for clean air. The Lung Association is the leading organization in Canada working to promote lung health and prevent and manage lung disease. We do this by funding vital research, pushing for improved treatments, going to bat for smarter policies, and helping patients manage their health. raises money for critical research to find a cure or a new treatment for lung diseases like asthma, lung cancer, COPD, and many others. The Lung Association raises money for critical medical research in Canada to find treatments — and ultimately a cure — for lung diseases. The Lung Association provides support for patients, including information, assistance in navigating the health care system, and more. 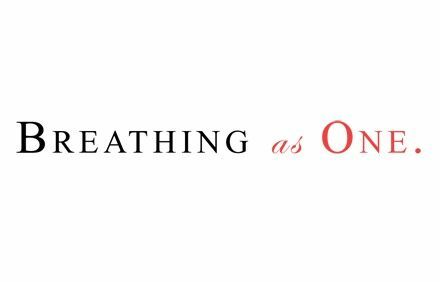 We are in the process of launching a capital campaign to build Breathing Space, a recovery house for lung transplant patients and their full-time caregivers for the 3 – 12 month period they must remain in the proximity of the hospital after release. Out of pocket costs can exceed $60,000, forcing some transplant patients and their families into economic disaster. And sadly, other transplant candidates take themselves off the transplant list because they have no way to afford these out-of-pocket costs. The Lung Association advocates for policies that promote lung health. We champion for policies and practices that make better air and better care possible for Albertans and residents in the Northwest Territories. We advocate for improved lung health by encouraging bans on flavoured tobacco, educating homeowners on the risks of radon, improving our air quality and raising awareness of other important issues. 1. DONATE: Lung health research is critically underfunded compared to other health issues that have the same or lesser impact on the well-being of Canadians. One in five Canadians has lung disease. Lung disease is the #1 cause of hospitalization in Canada. 2. VOLUNTEER: There are numerous ways to volunteer, such as participating in an event, serving on our Board or other leadership committee, or helping us to connect to companies and individuals who can make a difference. 3. TALK TO US: Let us tell you about our work in more detail. Give us your ideas and suggestions on how you can help.